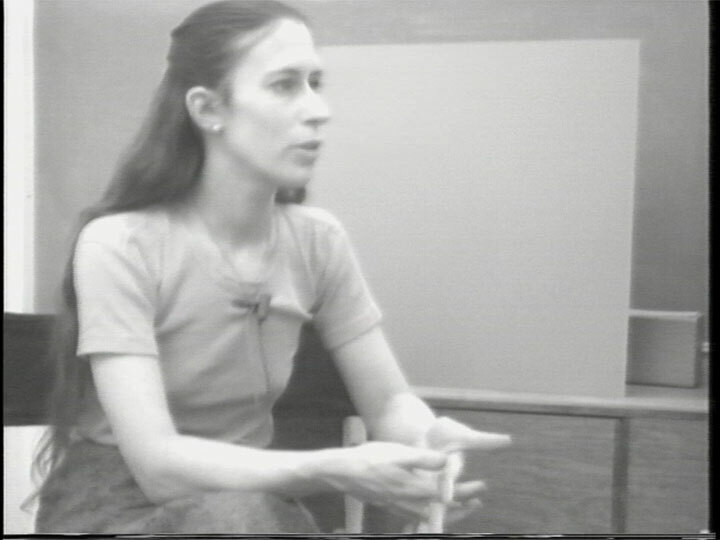 Meredith Monk (b.1942) has been composing, choreographing, and performing since the mid-1960s. Monk is primarily known for her vocal innovations, including a wide range of extended techniques, which she first developed in her solo performances prior to forming her own ensemble. Her voice has a unique timbre, which she explores through a capella singing and speech. As a dancer and choreographer, she creates hybrid, theatrical productions that incorporate ritualistic movements, lighting effects, and small props. “I alternate between doing pieces in which all my cards are on the table—white lights, no illusions at all—or pieces like Quarry, which deals with dense layers of theatricality—dense layers of light, illusion, and mystery,” Monk says in this interview with Ellen Fisher. A historical interview originally recorded in 1977 and re-edited in 2006 with support from the Lyn Blumenthal Memorial Fund.